Little Niagara Falls has no trail descending into the steep canyon of Tillicum Creek. It’s very remote and requires good navigation skills to find the best way. It is 74 ft high and has a wide veil at the base that extends past 90 ft. 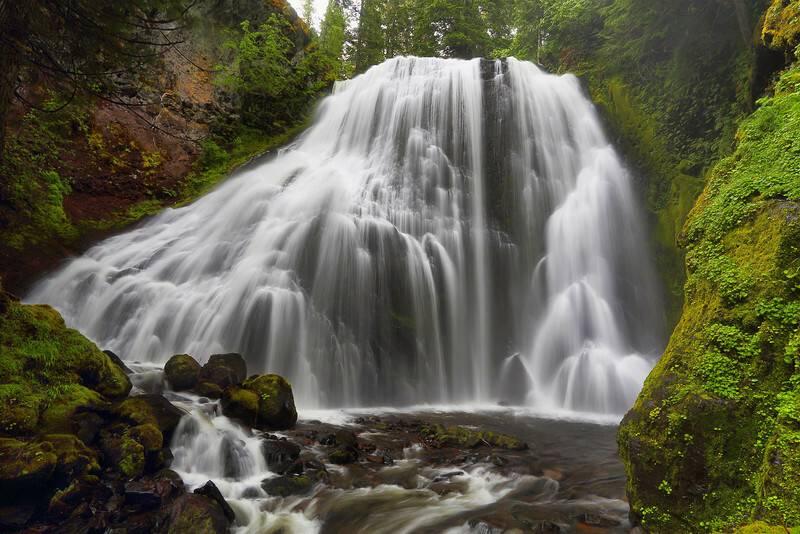 It's considered by many to be one of the most photogenic waterfalls of Washington State. got to be fairies there somewhere? Wow, what a gorgeous waterfall, and fantastic shot of it! Great comp and exposure. Love the soft flowing water.